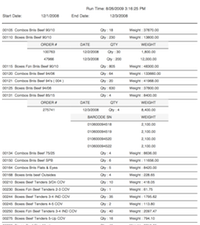 At the heart of our labeling systems is our LABELpaq software for the operators and our Encompass.net desktop for the managers to view all data from our plant floor systems, generate reports and schedule orders. 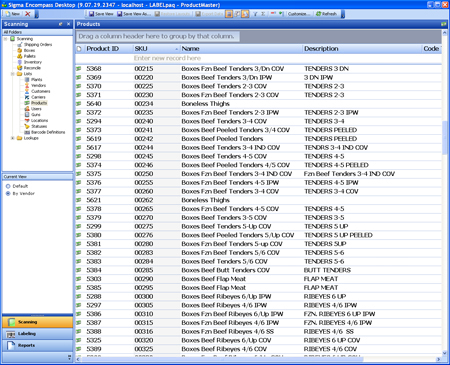 We have over 100 plants that use our LABELpaq software. Very simple and durable. The operator interface is 14 years old, is bug free and is extremely fast. The operators simply can use this software with only about 10-15 minutes of training- it is that easy. All touchscreen based on our computers, but we have a keypad that can be used as well. Multiple machines can be used to fill to an order, and each screen shows the status of that order. The interface can handle floor scale labeling systems, rack scale labelers, pre-price labeling and pack our labeling. Over 1500 licenses have been sold. 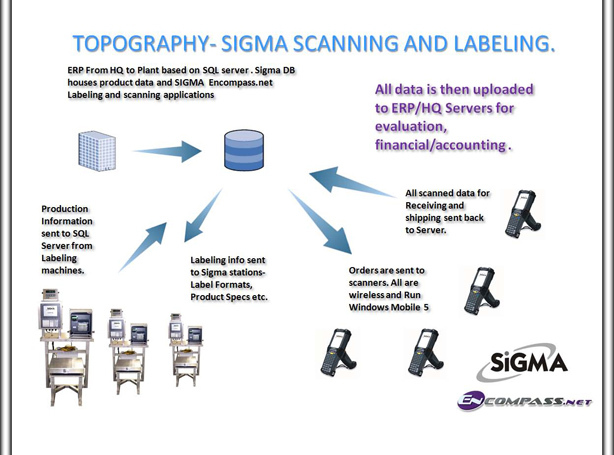 All data from our LABELpaq and SCANpaq inventory system goes into an open MS-SQL database. And that database is read and manipulate by our Encompass.net desktop. 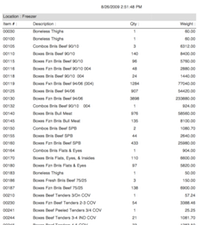 Schedule orders, view real-time every labeling machines totals, who’s logged in, trouble shoot scanners remotely and much, much more. Supports all current Microsoft usability features, drag and drop column manipulation, in cell editing, nesting rows and more. Managers can take advantage of our elegant and powerful user interface that makes data manipulation easy and efficient. 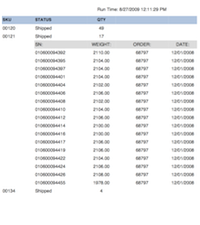 SCANPAQ INVENTORY TRACKING AND RECALL. Together with our LABELpaq software, our inventory tracking system gives you a complete inventory system from receiving, to further processing, cooking and storage/shipping. Anywhere your product goes, we track it. SCANpaq will even print invoices and have them sent to Quickbooks Pro or other accounting /ERP system that you may own. Our scanning system supports LIFO/FIFO, Bin location put away and every case has cost attached to it. Yield Management has never been more complete or easier with our labeling/scanning/SPC and pack out final check systems.